Backing up data is a difficult habit to get into. We assume that our computers will probably be fine, and we don’t want to waste precious time in our days transferring everything onto an external hard drive or a cloud storage system just in case. Not only is it time consuming, it’s also very tedious, so most of us don’t do it as often as we should, if at all. However, what will you do if you lose everything? Client information, invoices, work... it’s a whole lot more time consuming to do it all again. Fortunately, if you don’t want to back everything up yourself, there are IT support companies out there who will be only too willing to do it for you. 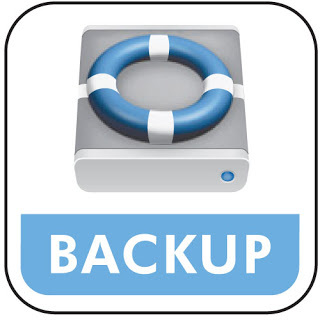 And, what’s more, they can continue that backup process for you so that everything stays backed up at all times. It can be extremely costly to chase all of your information up again, whether it’s calling each client individually to get their information again or copying it all out from paper copies, which wastes you precious time and money which could be spent working on more important matters. Not only this, but it will look highly unprofessional having to explain to your clients that their information is missing or their work will be late as it hasn’t been backed up. Another reason backing up your data is so useful is because we all make mistakes, and sometimes we accidentally save a revised version of a document despite needing the original version, so you will be able to easily pull the revised version out of the backup folders. Likewise, if a document mysteriously goes missing or gets deleted, you can find the backup version again so you can seamlessly continue working. Anything which makes your working life a little easier should be embraced and welcomed into your office, and simply making sure your data is backed up regularly should do just this.